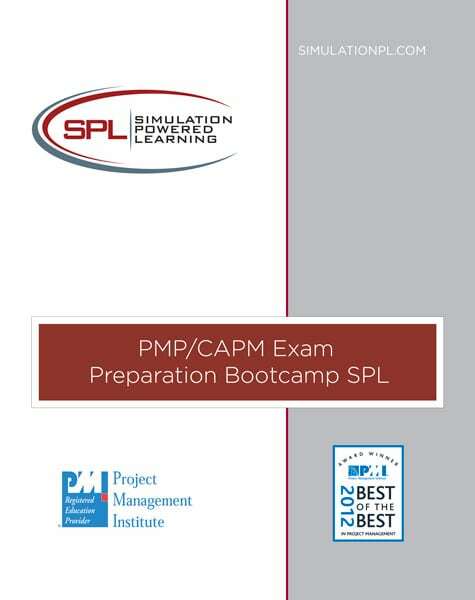 The PMP/CAPM Exam Preparation Boot Camp is a 5 day class that prepares applicants not only with the necessary knowledge to pass the exam, but the ability to apply that knowledge in both passing the exam and in improving their project management skills in the workplace. 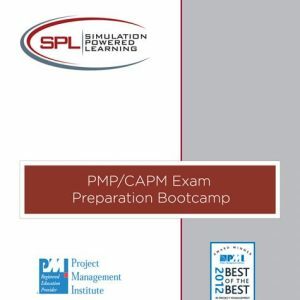 The PMP exam questions have been getting better and better at testing the applicant’s ability to actually apply the knowledge within A Guide to the Project Management Body of Knowledge (PMBOK Guide®). To address this Fissure has combined the best of our skill enhancing Simulation Powered Learning workshops and our PMP/CAPM Exam Preparation class into a 5 day PMP/CAPM Exam Preparation Boot Camp. The program begins with a quick 1 day review of the basic yet critical tools and processes of project management. In the middle three days participants learn, through lecture and computer simulation, advanced project management concepts like individual and team motivation, leadership, earned value, procurement management, stakeholder relationship management, quality management and risk management. In teams of four, participants actually plan and manage a complex simulated real-life project. They learn what it feels like as they make real decisions and get real feedback. The simulation powered learning is practical, engaging, intense and challenging. It’s designed to give you the practice and confidence to actually apply your advanced skills in the workplace and prepare you with the knowledge and understanding to help you pass the PMP Exam. The final day prepares participants to take and pass the exam by giving them the information they need to know about the exam itself and identifying what they need to know about project management to pass the exam. Beyond what they need to know, detailed concepts and tools and techniques are reviewed by experienced project managers who are PMPs and excellent instructors. Comprehensive study material is provided including a hard copy of the PMBOK® Guide, a top rated exam preparation book, and online access to a simulated exam testing experience. This training is for people who wish to prepare for passing the PMI PMP Certification Exam. Participants are required to already have a working knowledge of project management processes and tools. Participants should also meet the work experience requirement for PMP certification before taking this class.